· What do my parents really want from me? · Why do my parents do what they do and say what they say? · What do I really need to know about my parents’ parenting skills? · How can I keep my parents happy with me? · How can I help my parents to help me? · How can I get what I want from my parents every time? 28) Earning Your Parents’ Respect. As a kid, when it comes to parents, us having, earning and receiving their love, is almost guaranteed. You can be one of the most stubborn, unruly, wayward kids and they would still love their child and that’s for life. It’s fairly easy to have a parent’s love but it is a whole different thing to earn a parent’s respect. This is because love and respect come from two entirely different places. The love comes from what they feel for you, almost through themselves. Respect comes from what they think about the what, and the “way”, you are doing things, that you are doing in your own life. As a kid, you can disgrace your parents and they will still love you. But even though they do love you, if you disgrace them, they won’t respect you. As their child, you can act shamefully and your parents will still love you. But if you act shamefully, they won’t respect you. You can steal from them and lie to them and they will still love you. But if you steal from them, and lie to them, they won’t respect you. As a kid you can smell bad and look terribly messy and they will still love you. But if you smell bad and look terribly messy, they won’t respect you. As a kid it can be very hard to earn the respect of your parents. You can’t just smile your way through this one. If you want your parents’ respect, you are going to have to earn it, and fight for it. This is because it isn’t as easy as being loved by them. Your being respected by them is definitely worth a lot to them. When it comes to your parents, the “way” you do things, the “way” you get things, the “way” you live and the “way” you keep things, does matter to them. As a kid, watch the “way” that is being promoted in your surroundings. A “way” that you have the power to use, choose or change for yourself, in your own life. They may not say it but they, as parents, look for proof of character in everything that you do as a kid. Proof that you have made a point of displaying character in all that you, as a kid, do or touch. Your parents watch your life for proof of honor and honesty, hoping to find both honor and honesty present, in the “way” you do everything as their child. They especially watch for decency, which is based mainly on how well you treat other living things in your surroundings. It’s about how you use the power that you have over others, including smaller kids and pets. Your parents look to see you show mercy on those who have messed up on you, that are also smaller than you, like your brothers or sisters. It makes them, as parents, very proud when they see you, as a child of theirs, showing forgiveness to those who have foolishly wronged you. As you are growing up, it makes your parents really proud of you when they see how powerful you have become. They are especially proud when they see how gracious, kind, merciful and considerate you can be. They marvel at how great you have become, when they watch you being able to share with those who have given you nothing. As a parent, it gives them great joy to see their child, you, stand up against opposition to preserve the rights, safety and freedom of those around you as a kids. And the thought that if you were around a place, even if you were just passing through, that when you left that place, it would be better and cleaner because you were once there. These are the types of things that can help you as a kid who already has their parent’s love, to earn their respect. These are just a few of the actions that can help a kid earn their parents’ respect. Katherine Shears is a mom, graduate of Strayer University, and an executive consultant, who is dedicated to bettering the social function and overall visibility of all she encounters. She is a deep thinker with an open mind who stays on the cutting edge of learning, having read over one hundred self-help titles and counting. C. S. Whitehurst is a psychology-based UX/UI designer/tester, computer programmer, IT Project Manager, and self-help enthusiast, who is a student of science, philosophy, life, and NYU. As a native of New York, having been exposed to social diversity, he has been coached by life to respond to the issues plaguing inner-city youth. WISHING ALL THE DADS A HAPPY FATHERS DAY!! 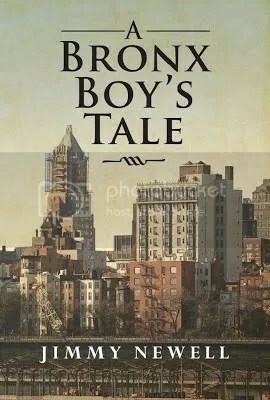 A Bronx Boy’s Tale details the life of the author as he witnessed the major historical events on the 1960’s and 1970’s. Although it was a time of social upheaval and strife, Jimmy’s family, friends and the Beautiful Bronx all made the experience glorious. It is a lesson to us in modern times who despair about the state of things. Family, friends, and having a strong community in which to thrive can supersede any perceived threat from a world thought to be mad. A Bronx Boy’s Tale AuthorJimmy Newell has a degree in law as well as a Masters in History. But, more than that, Jimmy grew up in the Bronx and wishes to share that with you and to make you see that you probably had a similar experience wherever you may have come of age. 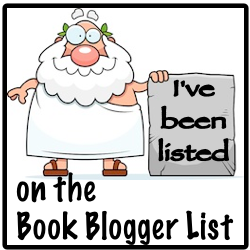 THE MANY SINS OF LORD CAMERON BY JENNIFER ASHLEY – WILL SHE BE SINFUL WITH HIM? THE SEDUCTION OF ELLIOT McBRIDE BY JENNIFER ASHLEY- -WHO WILL DO THE SEDUCING? I just want to wish everyone a great day and many more to come. I hope you are surrounded by the love of your family. For those that have lost someone around this time or has some one in the military over seas, I wish you love and peace in your heart. Loved ones are never really gone, but are still all around us. You feel them on the breeze, the whisper of the wind in the trees or the caress of the wind on your face. They are always in your heart. So Merry Christmas and happy holidays from the Book Junkiez family. Yesterday, I was blindsided right along with the rest of my work family. It seems that the store I work at has plumbing issues that require the store to be closed for 6 months-1 year. We did not have any warning at all. We were required to attend a meeting and we were told the news. Now we have to attend a meeting on Thursday or Friday to see if there is a spot for us at other stores. If we don’t want to be transferred, we can opt to take the severance pay(if we qualify). I am taking this news very well, but others are not. I look at this a somebody telling me that I need to do something different. Recently I tried to apply for disability, because of my arthritis making it hard to sit or stand for long periods of time without a lot of pain. Unfortunately, I was denied, due to still working full time. I would have to only work 15 hours to get the benefits, but I would lose my insurance. Now I can re-apply and hopefully get the disability. Right now my employer will pay us for sixty days, or we transfer to another store, or take the severance package. If I take the severance package, i can still file for unemployment until I get disability. My insurance will still be paid for the sixty days. Then I will have to find my own or I can pay for my insurance that I have now out of my own pocket through Cobra insurance. I just have to let them know when I get the notice in 44-days. I was looking to do something else already. I have enrolled in a copy editing and proofreading class to make a career change. I will continue with my schooling until I finish. There was a reason I started all this before I got the news of the store closing. Maybe deep down I had a feeling or someone else was whispering to me to take these steps. I don’t know, but I am glad that I listened. Now I can concentrate on what makes me happy. The last year- year and a half, I was not happy with my work. I would wake up and dread going in. I usually love working with the public, but lately I dreaded going in. Maybe, starting this blog has been my salvation, because it reminded me that I love to write. It has also given me more confidence in myself and my writing. I will keep you informed with any updates in my status. I love my work family and my blogging community family. You have all helped me through difficult times, and I deeply appreciate you all. God Bless Everyone. This morning I was also given the news that my great aunt Gloria-Jean Braggs has passed away. I have fond memories of her and her family playing music at our family reunions. I always enjoyed their singing and playing. My heart and prayers go out to them. I AM THINKING ABOUT A CAREER CHANGE. Pre-Launch event for Jayne Frost’s GONE FOR YOU book release! Here is to all the Fathers out there, HAPPY FATHERS DAY. I hope everyone had a good day today? 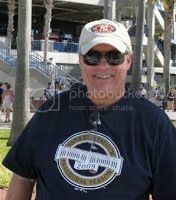 Give all the DADS a hug from me for they are truly awesome. Here is a poem to celebrate. Is a promise made to his children. That they will be loved no matter what. in the coming days ahead. as tears slowly roll down his cheek. be alone when he is gone. written in the sky and whispered in the wind. A promise made that they will be loved in the end. For a father’s promise is not made lightly. It is made from the heart and soul. So remember to love thy Father. but to continue to love you until time had no end. I just want to wish everyone a great day and many more to come. Comments Off on WISHING ALL THE DADS A HAPPY FATHERS DAY! !